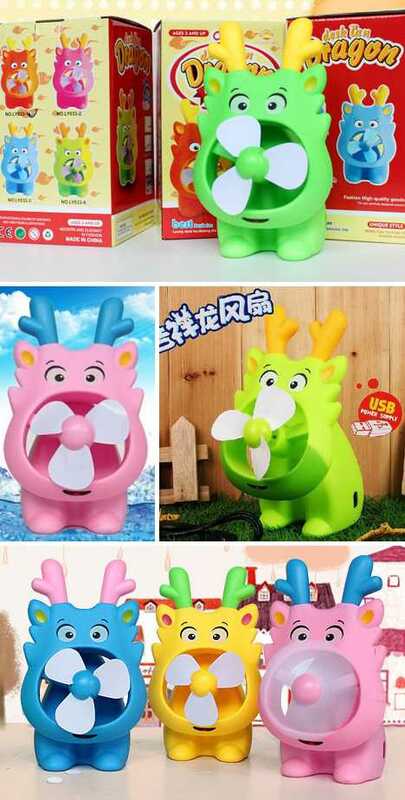 The colorful and somewhat disturbing “Desk Tan Dragon” fan doesn’t breathe fire, which one supposes is a blessing. Killing it with fire, ideally from orbit, IS an option many might consider however. Is this really meant to be a dragon; a suntanned one at that? We recognize the face of a hippo and the antlers of a deer but we’re being quizzical, not critical. Maybe the copy on the Desk Tan Dragon’s box can shed some light on the matter. Let’s see now, “modern and elegant,” check. “Fashion high quality goods,” check. “Unique style”… aha, there’s something we can all agree with! 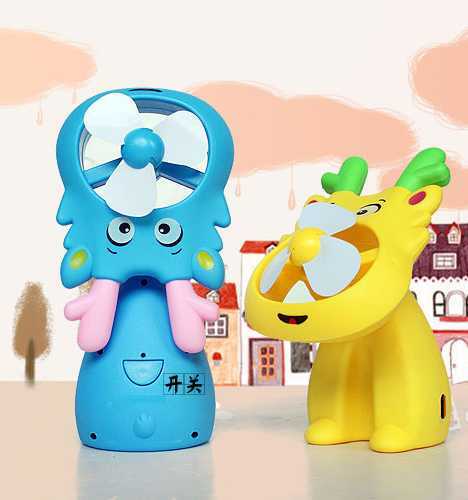 Should anyone purchase this fan purely for its functionality, they’ll at least enjoy the hinged, pivoting neck that allows the fan to be aimed in such a way that the “dragon” has morphed into an angry hydrocephalic mutant elephant. It’s actually an improvement. This neat little item features Doraemon, the much-loved robotic cat from the long-running Japanese animated cartoon series. 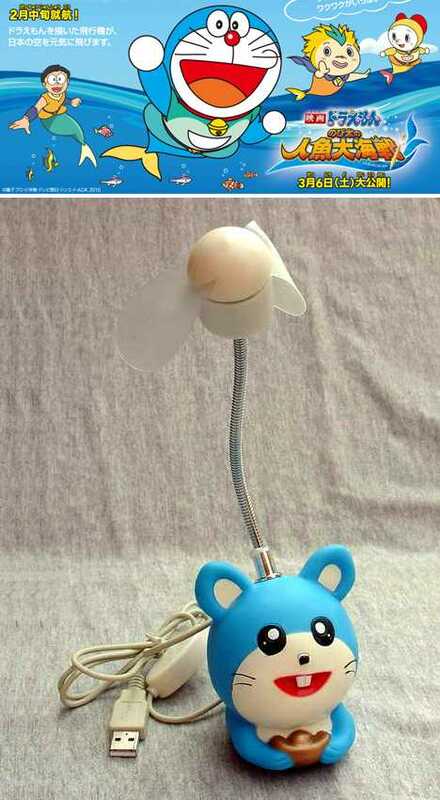 Doraemon is intensely popular in China as well, so it’s debatable whether the vaguely Doraemon-like figurine in this otherwise nicely designed USB desk fan will be accepted or rejected by China’s Doraemon-loving multitudes. 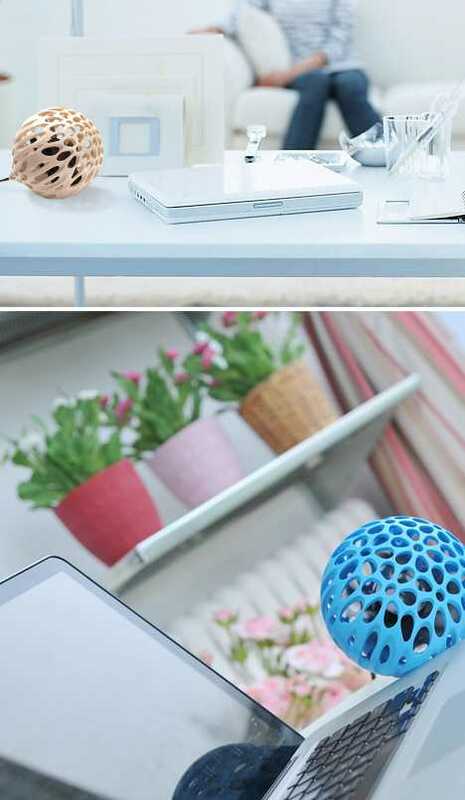 Here’s a desktop fan that doesn’t look like anything… u-like? Yes, U-Like even if you don’t like it because that’s the name on the box. Constructed from rugged ABS plastic and available in a choice of six colors, this ultra-modern silent fan would look right at home plugged into a shiny new MacBook Pro. And indeed it does, check out the seller’s product page on Taobao if you need proof. 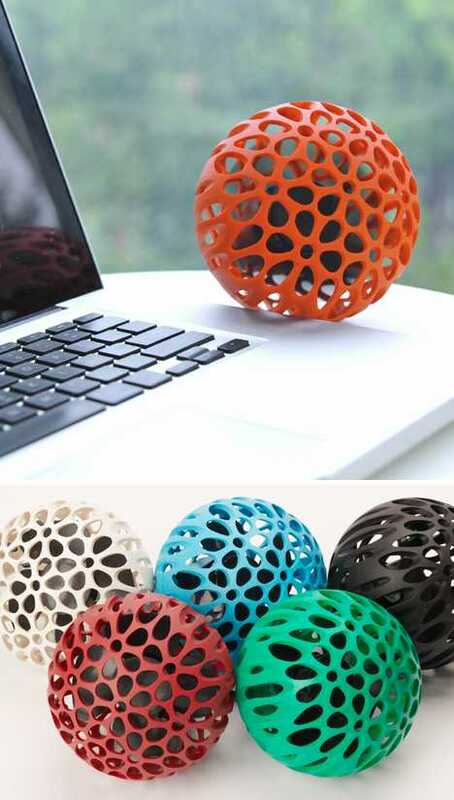 Judging by the plethora of cutesy, kitschy, often childlike designs that seem to be de rigeur when it comes to Chinese budget-priced gadgets, the U-Like USB Creative Silent Desktop Fan looks like it just fell to Earth inside a meteorite and oozed out of the cracked shell, seeking sustenance from anyone who touches it for the first (and last) time. Hmm, haven’t we seen this movie before?